Closest accommodation to albatross, penguin and seal colonies. Enjoy country-style motels in a quiet, peaceful setting. 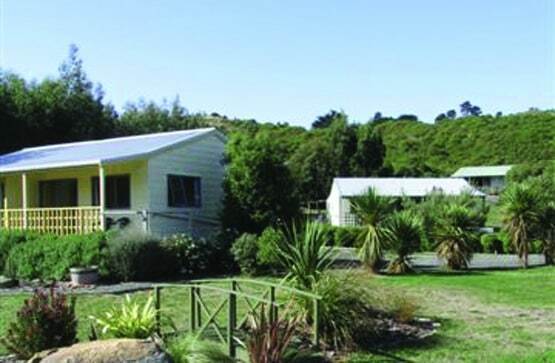 Choice of spacious self-contained cottages, ideal family units with B&B available, choice of studio, 1, 2 or 3 bedrooms. These are set amongst mature shrubs and gum trees on 4 acres of land. Wake up to the sound of bell birds, sea birds. All units have either harbour or rural views, and sit well to the sun. 2 minutes walk to the beach (sea lions) for a leisurely stroll and spectacular sunsets, and close to many other attractions. These include yellow-eyed penguin reserve (3 minutes), albatross colony (5 minutes), sea lions and seal colonies (6 minutes). Also experience Monarch Harbour Wildlife Cruises (3 minutes), Nature's Wonders (6 minutes), Larnach Castle (20 minutes), Marine Aquarium (10 minutes). Golf course, restaurants and cafes close by. The Otago Peninsula offers many scenic walks and drives..